So exciting! 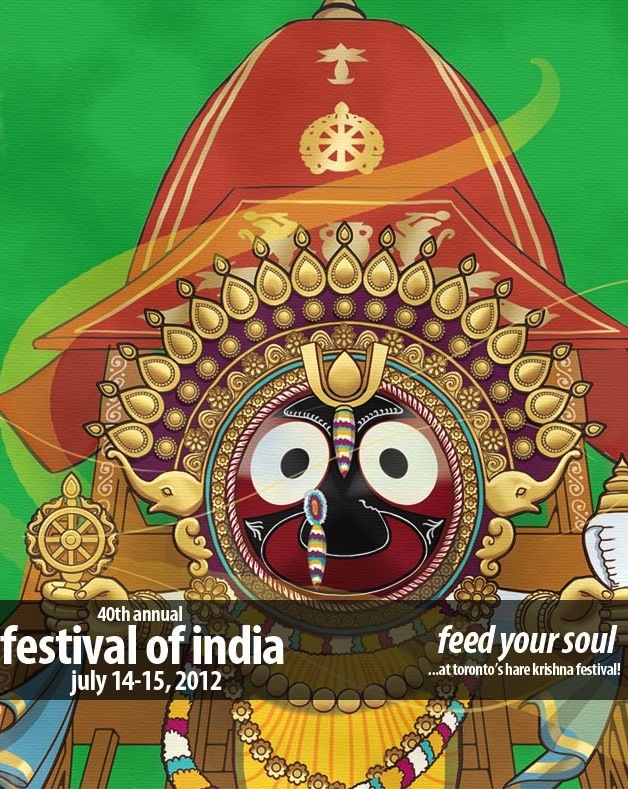 40th annual Festival of India is going down this weekend (July 14th and 15th). So many fun things in store. Friday July 13th - "Tearing the roof off spiritually" with a 12 hour chanting/drumming session at #YongeDundas for the Kirtan Festival. Saturday July 14th morning - The festival will officially kick off with a parade starting at #YongeBloor hub and going all the way down to the Lakeshore. The parade will start at 11am and wind down at 2pm. Saturday July 14th afternoon (after the parade) - The festivities continue at Centre Island with free vegetarian feast, a bazaar, face painting, yoga festival, and much more. Sunday July 15th all day - The festivities continue with much more of the same. Sounds like fun will be had in oodles! You can find a detailed breakdown of the arts & culture shows here. Toronto Beer Festival coming up! Beaches Jazz Festival in full swing! Festivals and events galore this weekend! Live Green Fest looking pretty awesome this year! University of Toronto Ghost Tour - BOO! Parkdale like you’ve never seen before! Last call to Fringe the weekend away! Highlights from Salsa on St. Clair!